The problems at Intel (NASDAQ:INTC) have given Advanced Micro Devices (NYSE:AMD) a clear field on which to grow its business. AMD stock has probably found its new bottom. 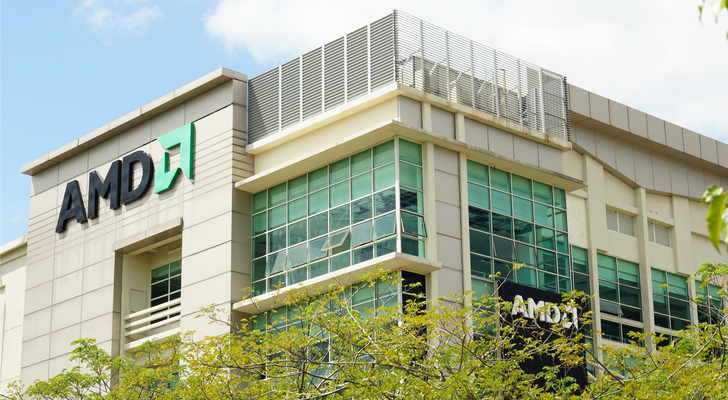 Analysts recognized the new reality in late April, after AMD announced net income of $81 million, 8 cents per share, on revenue of $1.65 billion for the March quarter. It was the company’s third straight quarterly profit, on revenue that was up 34% year over year. AMD stock had been trading at under $10 before earnings opened for trade June 25 at $15.80 each. Expectations for the current quarter, to be announced July 25, now call for profits of 10 cents per share, with revenue falling back to $1.53 billion. AMD stock has delivered head fakes like this before, a quarter or two of good results usually followed by new products from Intel and a precipitous fall. This time feels different. One thing that hasn’t changed is the short-term analysis of AMD’s prospects, which keep the stock volatile. For instance, much is being made today of AMD’s niche in cryptocurrency, where its graphics processors are used to solve the puzzles that create “coins” like Ethereum. The idea is that with interest in crypto fading , AMD should also fade. Analysts also worry about AMD’s market share in laptops, where it competes directly with Intel. AMD’s success has been based on the idea that it has a me-too product, the same performance for less money. That’s not a good position to be in. But Intel is having trouble making 10-nanometer technology work at its fabrication plants while AMD, using the facilities of Taiwan Semiconductor Manufacturing (NYSE:TSM), is already announcing seven nanometer chips for next year. There is an advantage to not owning your own fab. AMD remains tiny next to Intel. If it maintains its current sales pace for the year, it could deliver revenue of $6.5 billion. Intel’s 2017 revenue was over $62 billion. In the past this meant Intel could squash AMD like a bug, but Intel’s manufacturing problems will take time and money to fix. Meanwhile, AMD looks like it has clear sailing. AMD is also strong in graphics, where it competes directly with Nvidia Corp. (NASDAQ:NVDA). But graphic chip sales are growing fast, not just for cryptocurrency and gaming but in clouds and artificial intelligence applications. The two companies don’t compete so much as share that fast-growing market. Intel wants in but its big introductions aren’t due until next year and its credibility is under question. While AMD seems expensive, selling for over 100 times its trailing 12-month earnings, its profitability has just begun. The company’s price to sales ratio is a reasonable 2.5. Intel sells at nearly four times sales. Analysts who have been burned by AMD’s false starts in the past remain skeptical of the company. That’s a good thing. On June 25 investors had sold almost 175 million shares of AMD short, against a float of 825 million. That’s also a good thing. The average analyst rating on AMD is still a hold, with one switch to the buy side and one to sell in the last three months. The new buyer is Vivek Arya of Bank of America Corp. (NYSE:BAC), who notes that AMD is now focusing on selling features, not price, and that its Epyc chip could be selling at the same price as Intel’s competing devices within a few months. The bottom line here seems clear. When your opponent blows a tire, you have an advantage in the race. Dana Blankenhorn is a financial and technology journalist. He is the author of the historical mystery romance The Reluctant Detective Travels in Time, available now at the Amazon Kindle store. Write him at [email protected] or follow him on Twitter at @danablankenhorn. As of this writing he owned no shares in companies mentioned in this article. Article printed from InvestorPlace Media, https://investorplace.com/2018/06/amd-stock-clear-sailing/.